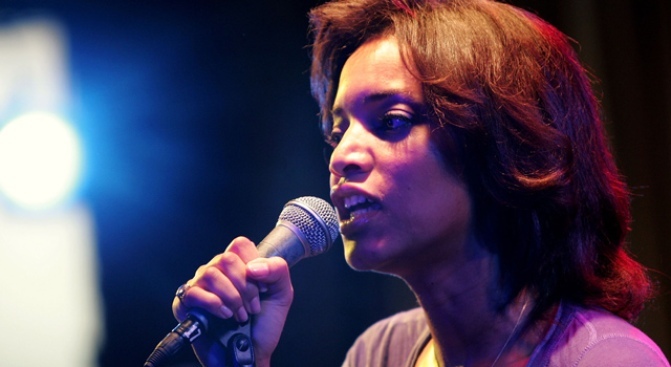 Alice Smith brings her powerful vocals to Joe's Pub. Alice Smith writes music that's hard to pin down -- it's funk, rock, punky, jazzy and, in a word, complicated -- but one thing never changes: The girl can sing. Critics fawned over her debut For Lovers, Dreamers & Me a coupe years ago, and she was nominated for an urban/alternative Grammy, but this New Yorker still hasn't quite become a household name. Go hear her blow the roof off the joint at Joe's Pub on May 29. Last time we caught her live, she slipped in a goosebump-inducing funk cover of Heart's Alone that sealed the deal for any nonbelievers in the audience.